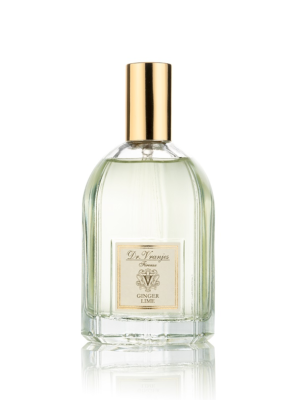 GINGER LIME : Head citrus notes formed by the fleshy Lemon pulp which enter the crisp green notes of Lime, Ginger used together with the Gingember, with entangling shades of Vetiver to form the heart of the fragrance, white pepper and colonial essences heat the base of the perfume. Activity : Stimulates the mood and reduces feelings of anxiety and fatigue while helping to improve concentration and enriching the air with purifying components. The "Spiced Romantics" range are evocative fragrances, deep and mystical, essences from distant lands which bring with them a hint of magic. Dr. Vranjes Firenze in Florence was created in 1983 from the passion of Dr. Paolo Vranjes, pharmacist, chemist and cosmetologist.